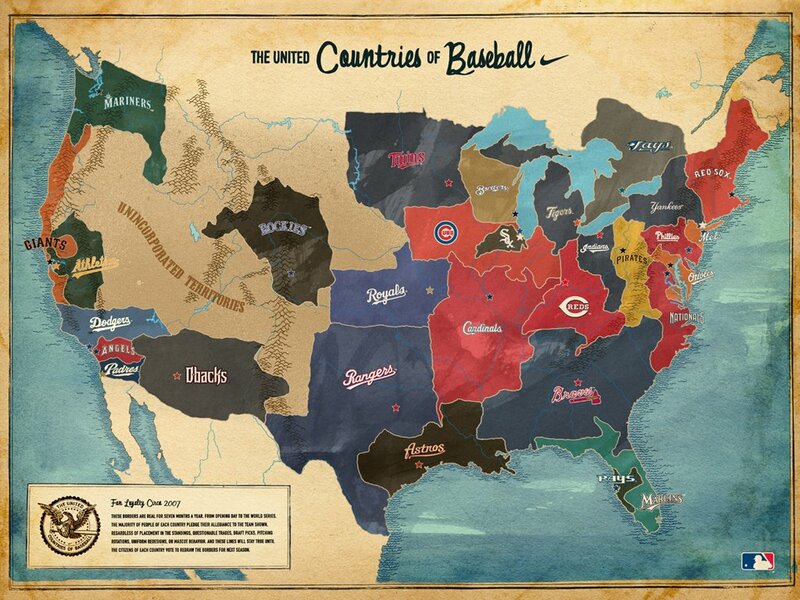 You might remember The United Countries of Baseball Map from last year. Any time you attempt to make a map such as this, you know people are going to find faults with it. Well Drew Silva took comments people made about the map on sites such as Deadspin and revised some of the boundaries of the map. I think the refinement really tightens up one of my favorite maps that I’ve ever seen. Check out the result below and compare with the CommonCensus Sports Map of MLB Team Fan Areas. Thanks to Dan for pointing this out to me. He also offered up the Major League Baseball blackout map. Also, no need to bring up the collapse of the Diamondbacks. I’m a fair-weather fan of them so it doesn’t really hurt me too much, especially since my team is surging in the standings (but unfortunately has nothing to play for).